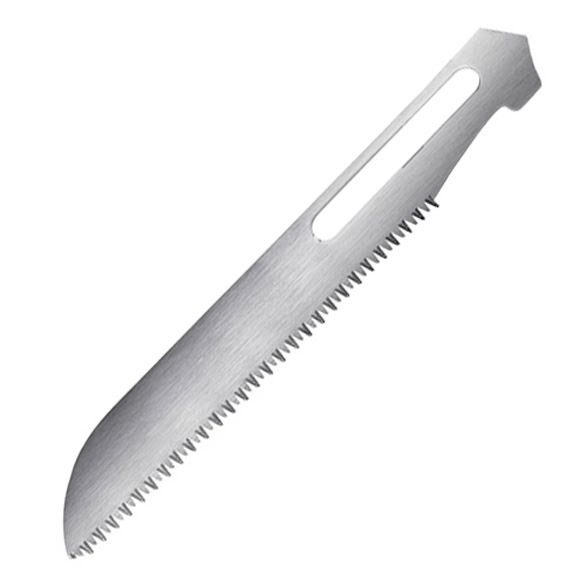 Havalon Knives' unique Bone Saw blades are made from Havalon's proprietary blend of steel that creates a strong, durable, blade with unmatched sharpness. This precise saw pattern has been perfected to provide the best combination of durability and sharpness that is needed to cut through the bone of any size game. Havalon Knives&apos; unique Bone Saw blades are made from Havalon&apos;s proprietary blend of steel that creates a strong, durable, blade with unmatched sharpness. This precise saw pattern has been perfected to provide the best combination of durability and sharpness that is needed to cut through the bone of any size game.